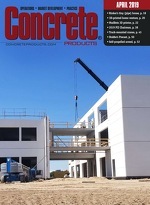 Gross sales for segmental concrete pavement contractors in the U.S. and Canada increased 8.8 percent in 2016 over the prior year, according to the Interlocking Concrete Pavement Institute’s 2017 Contractor Industry Survey, reflecting responses Columbus, Ohio, market researcher Industry Insights obtained from 218 small, mid-size and large companies. The new 12-page guide includes extensive insight on best design and construction practice, along with a maintenance guide for common PICP distresses. Average wages increased by 3.0 percent for 2016 payrolls, while 2017 levels are pacing a 3.2 percent jump. The study also includes overall data on the specific systems contractors use to monitor and reduce crew member exposure to respirable silica, plus promotion and certification trends. In addition to reporting overall data, results are also grouped based on respondents’ length of construction season, gross sales, and number of employees during peak project activity. The 59-page 2017 ICPI Contractor Industry Survey is available for purchase by visiting www.icpi.org/shop. Along with contractor survey findings, ICPI has released “Tech Spec 23: Maintenance Guide for Permeable Interlocking Concrete Pavements (PICP).” The 12-page piece features 36 figures and tables plus information on PICP benefits and maintenance; insight on practices to support surface infiltration; infiltration inspection and testing techniques; preventive maintenance equipment options for various PICP applications; restorative infiltration maintenance for highly clogged surfaces; inspection intervals and procedures for maintaining surface infiltration; and, winter maintenance practices. Tech Spec 23 is available in a pdf download or print version at www.icpi.org. For a pdf, see the Resource Library and click on “Find a Tech Spec.” The print version is also available for purchase on the website store. ICPI promotes PICP as a durable, cost-effective solution for compliance with national, state/provincial and municipal stormwater regulations. The surface consists of solid, durable concrete pavers with small, stone-filled joints that allow water to flow into highly permeable, open-graded bedding, base, and subbase aggregates. The spaces among the aggregates store water and enable infiltration into the soil subgrade rather than generating surface runoff. PICP is well suited to freeze thaw climates. Lindenhurst, N.Y.-based Nicolock Paving Stones and Retaining Walls has acquired the Grinnell Concrete Paving Stones Inc. operation in Sparta, N.J., enhancing distribution logistics and adding production in a fourth state. The location joins the producer’s nine hardscape unit plants in Connecticut, Maryland and New York, along with six distribution centers in Delaware, Massachusetts, New Jersey, Pennsylvania and Virginia. The former Grinnell facility has two buildings totaling 50,800 square feet of innovative technology and automated systems, he adds, plus future physical plant growth/expansion opportunities. Nicolock will be fully assessing the site’s initial product offerings, timelines, and logistics.